Coffee lovers rejoice! The majority of breastfeeding mothers can drink caffeine in moderation. When you drink caffeine, only 0.06 - 1.5% of the amount you drink actually makes it into the breast milk according to Medications & Mother's Milk by Thomas Hale. This number peaks about 1 hour after caffeine consumption. The American Academy of Pediatrics classifies caffeine as “Maternal Medication Usually Compatible with Breastfeeding.” Caffeine is even given, in much higher doses than what ends up in breast milk, directly to some premature babies as a treatment for breathing problems. It is important to note, as with most of the finer things in life, caffeine is acceptable in moderation. Typically it is deemed ok to drink 300 milligrams of caffeine a day, which is approximately the equivalent of one 16 ounce cup of coffee. Any more than this could result in your baby having a negative reaction to the caffeine, though some babies are sensitive to any amount of caffeine. 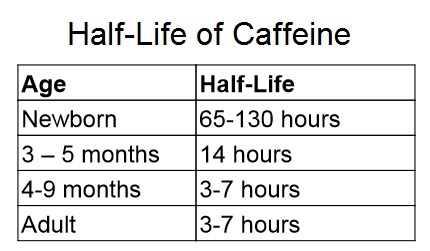 Remember, caffeine isn't just in coffee. It's also in some sodas, teas, chocolate and other beverages. 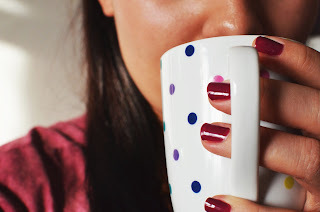 How can I tell if my baby is sensitive to caffeine? Babies who are sensitive to caffeine may exhibit fussiness, irritability, wakefulness, poor sleep patterns, restlessness, and jitteriness. If you suspect your baby might be negatively reacting to the caffeine, gradually limit the amount of caffeine intake, as cutting it out immediately could lead to withdrawal symptoms for both you and your little one. If your baby is sensitive to caffeine, they usually outgrow it as they get older so you may be able to reintroduce caffeine later. 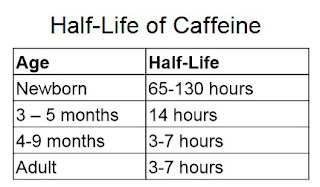 Younger babies have a harder time metabolizing the caffeine, so they may be more sensitive.